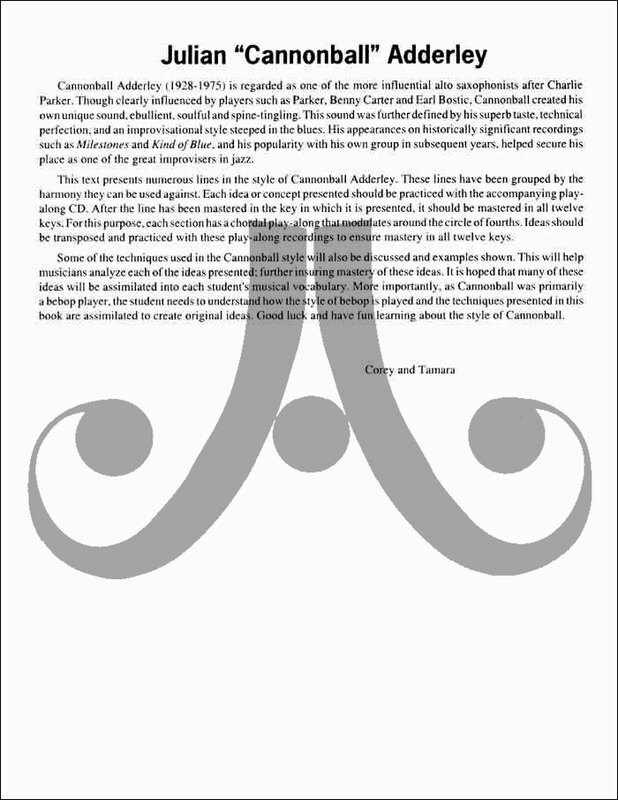 by Corey Christiansen and Tamara Danielsson. 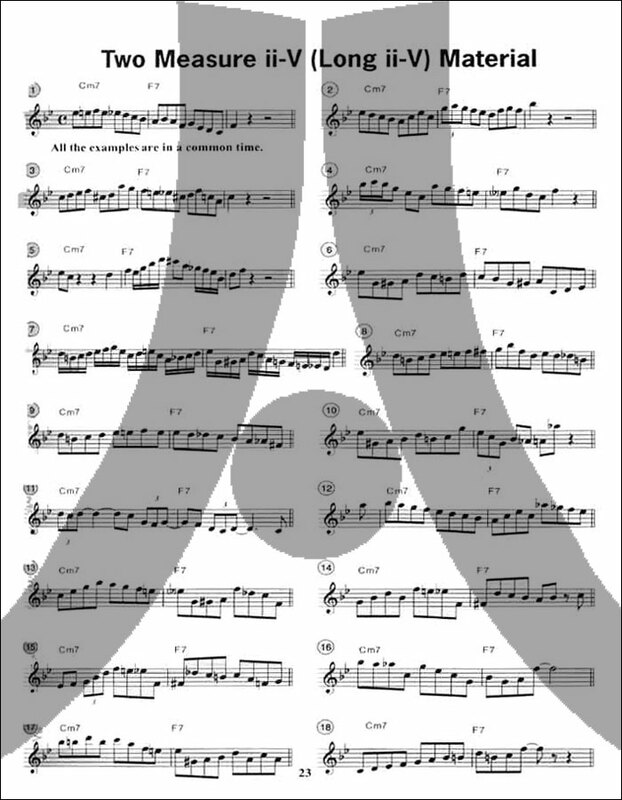 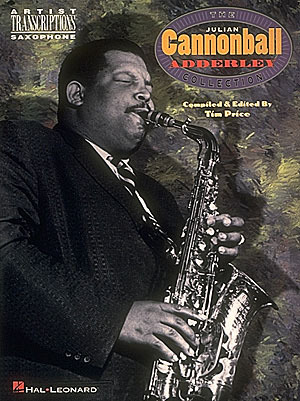 Many of the devices and techniques used by "Cannonball" Adderley are covered in this text. 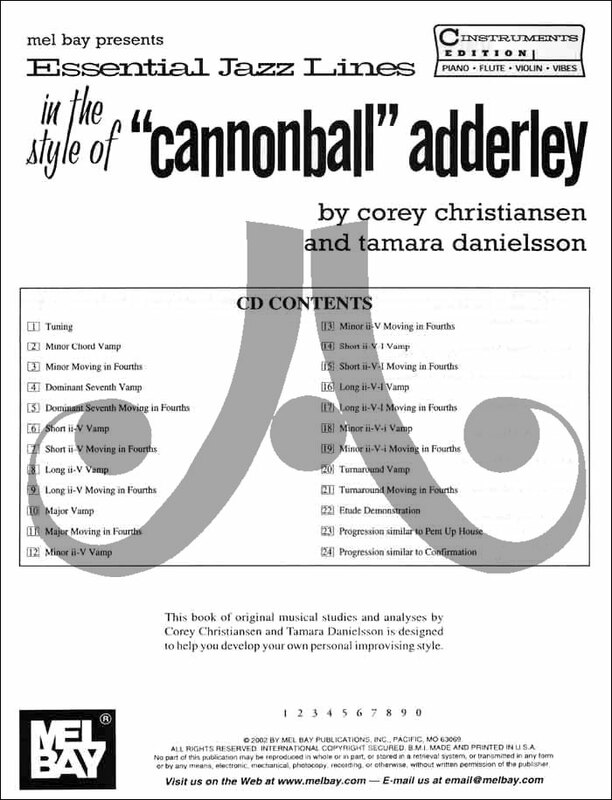 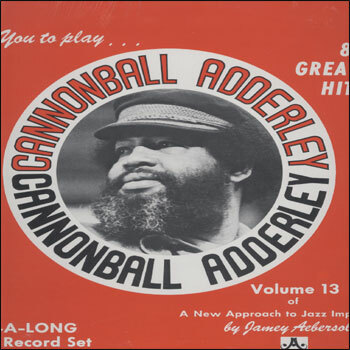 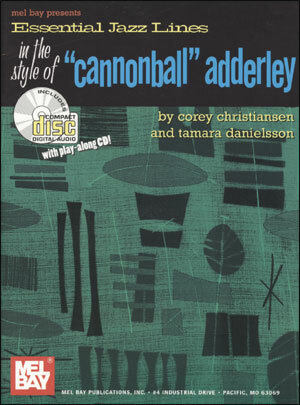 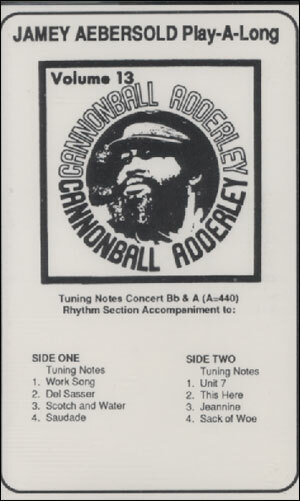 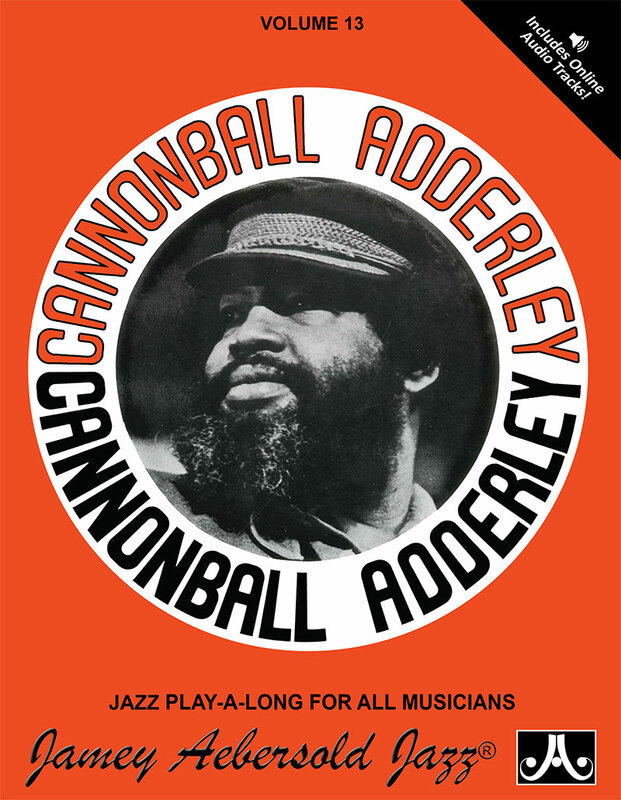 In addition to the theory chapters, many melodic lines and phrases in the style of "Cannonball" Adderley are presented. 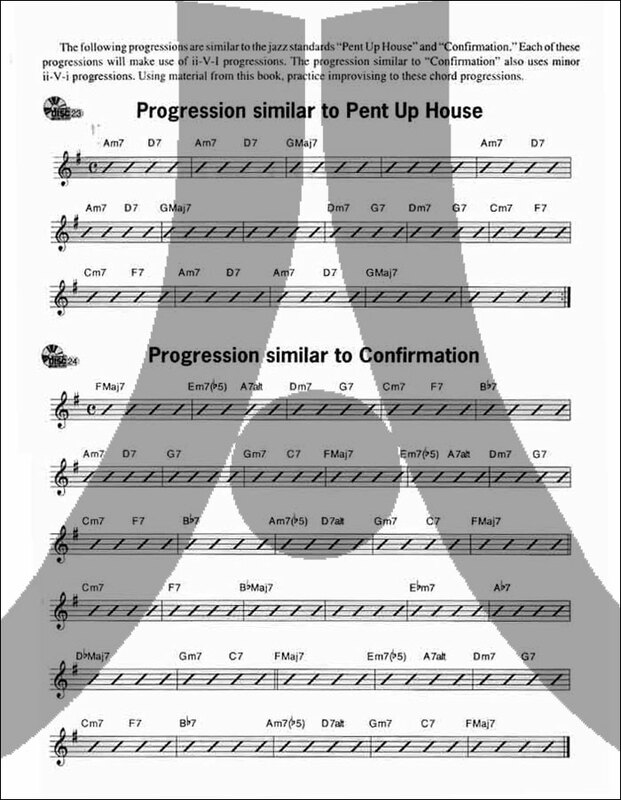 All the lines have been transposed into one key and grouped by the harmonic background they can be played against. 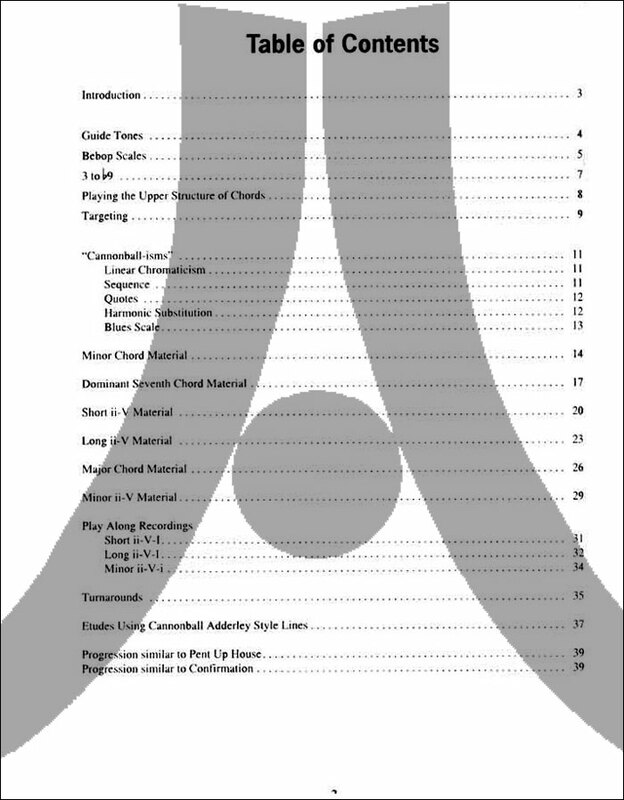 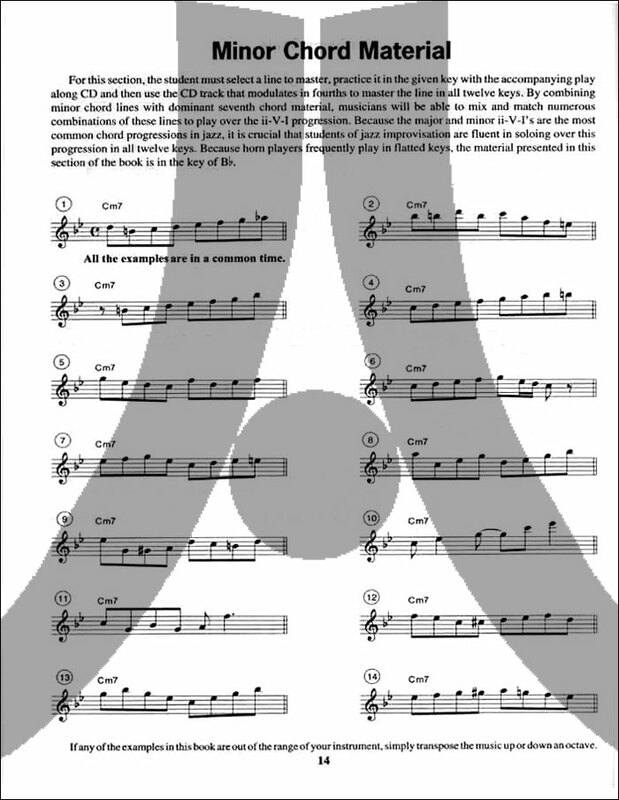 The accompanying play-along CD enables to students to first practice the material in one key, and then master each line in all twelve keys, working around the circle of fourths.